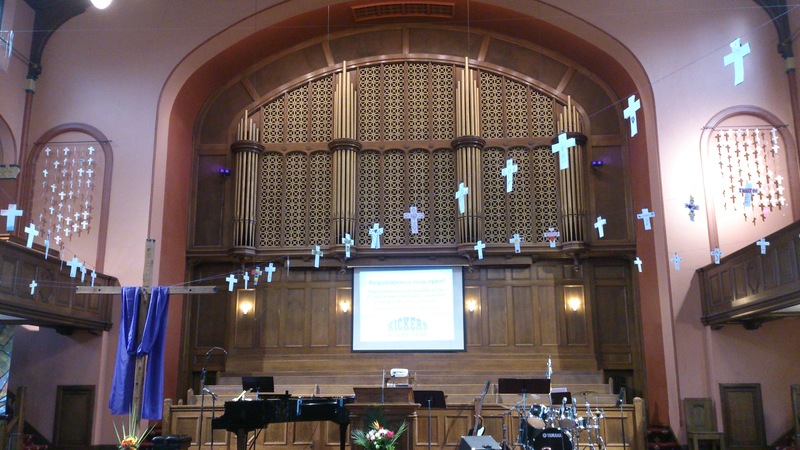 As I enter the sanctuary, it looks like it is dressed for a party. 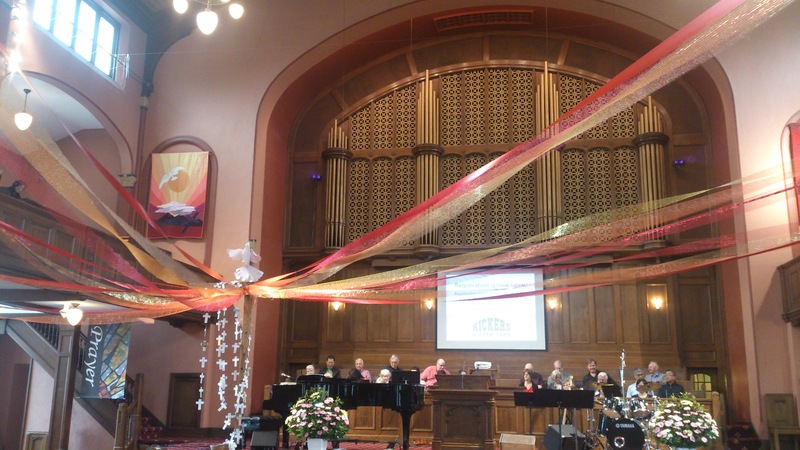 Red, apricot, and gold streamers twist their way from the wooden cross standing tall on the stage to the edges of the balcony where we bow in prayer and stand to sing praises. 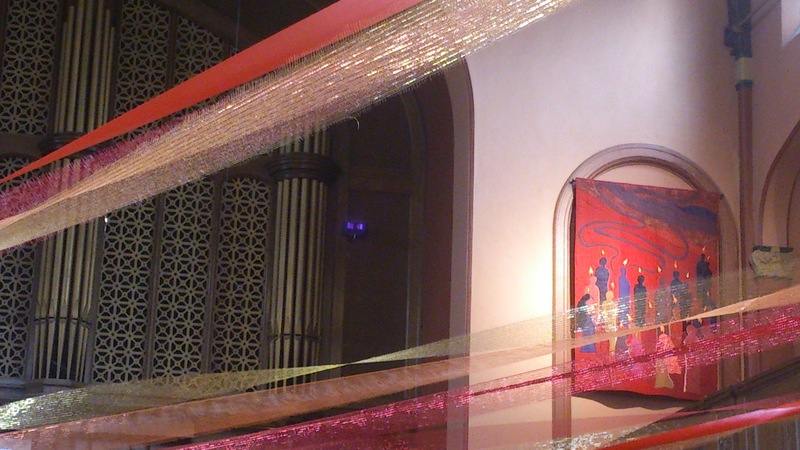 Streamers of crosses have laced the sanctuary during the Lent and Easter seasons. They have now been gathered and draped over the large wooden cross still standing on the platform, our lives that have been being woven into the life of God as Jesus walked this earth no longer strung out across the sanctuary, connected to his cross but still at a distance. Our little crosses, our little selves, are now pulled close, cascading from his cross like a bride’s long veil or the pouring out of a waterfall, pooling in a basket at the foot of the cross, the overflow of his life now pouring through us, springs of living water to quench a parched people. 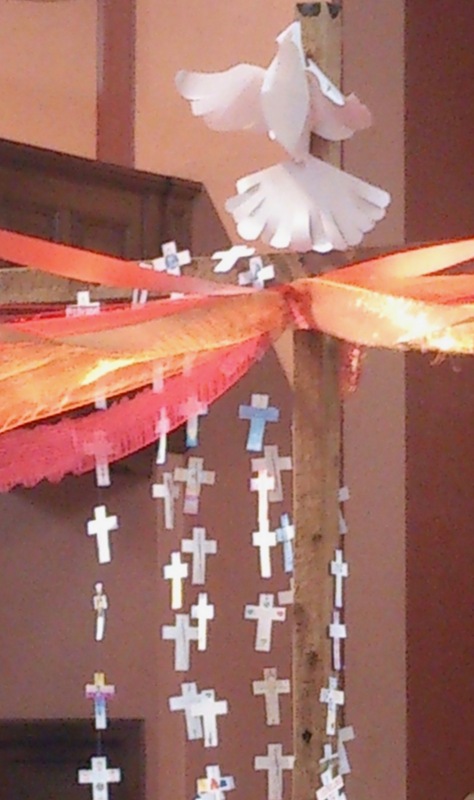 It's as though the streamers are summoning us into the party already going on in heaven, drawing us in toward the cross, toward the dove, toward recognizing the magnificent mystery that is taking place. The cause of this glorious, holy celebration? The marking of that moment when Jesus’ life became ours. We’ve been living the milestones along the way for months. Waiting through Advent to see the mystery of God, God!, in human flesh. Walking with Jesus, watching as He lived God’s life among us and lived our life in God’s moment-by-moment presence, showing us the union that we were made to live. A dove tops the cross, the sign of God’s pleasure in his Son, descending at his baptism, now also falling onto us, into us, at Pentecost, proclaiming that we also, in Christ, are now bearers of God’s full acceptance and delight. 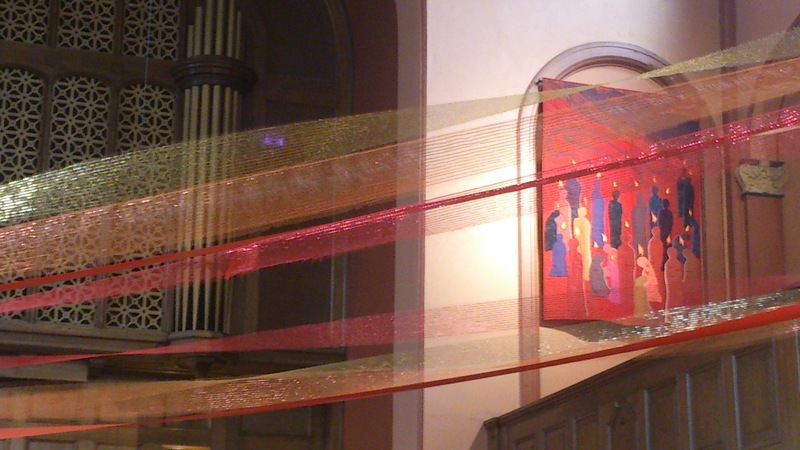 The streamers are shimmering in the light. It’s the perfect day for a party, this day of Pentecost when all that Jesus has done for us through Advent and Christmas, Good Friday and Easter, come together, and we receive the pouring out of all that God is coming not just to us in flesh (that in itself was astounding), but into us, God’s Spirit filling and animating our flesh. We no longer simply witness God’s life lived among us, we can welcome God’s life lived in us. We are now Christians—not simply observers of Christ at a distance, but united with him, and through him, with God. In us God continues the wonder witnessed first and perfectly in Jesus: God's Spirit and human flesh come together once again in a human body, Creator and creature united. Should we not celebrate? How is it that the church calendar calls these next six months “ordinary time”? 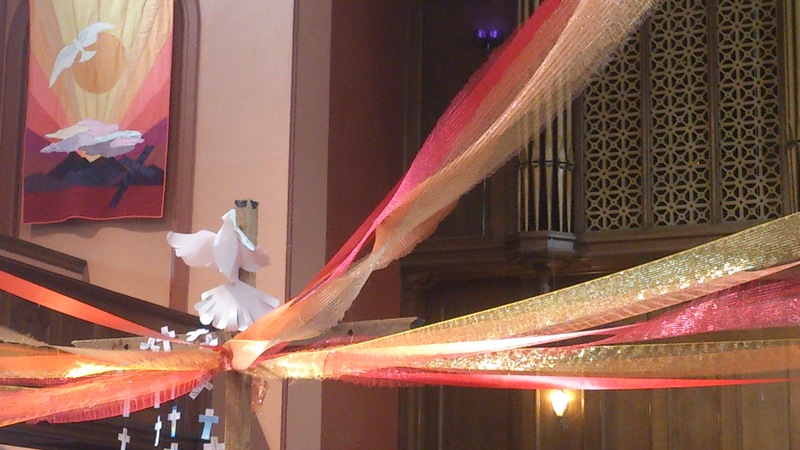 Could an event such as Pentecost be the door into anything ordinary? Can time ever again be ordinary when we walk through each day with God himself walking it not just beside us but within us? As we enter these months of (not-so-)ordinary time, let us walk in the awareness that God himself now lives each moment within us. And let us celebrate. This is another of my favorites. Although we have grown up not celebrating the liturgical calendar and not including the visual arts in our worship, your posts make me long for these to be part of our celebration of the amazing good news of God with us and God in us!